Amazon Kindle Fire 2 to get spring 2012 launch? Kindle Fire - two's up already? 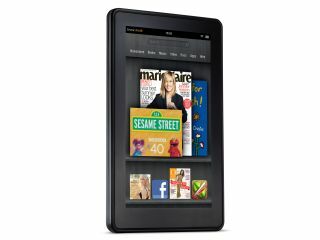 The Amazon Kindle Fire 2 is set for a spring 2012 launch and is poised to be another 7-inch tablet. This is according to DigiTimes, which is reporting that Quanta Computer has already been given the order to start producing the new device. Numbers for the Amazon Kindle Fire have been increasing and it is thought Amazon has added another chassis supplier to its belt – which means three production outlets are now poised to produce components for the Kindle Fire, the latest being Nishoku. Nishoku is set to start producing chassis for Amazon at the end of 2012, which ties in with the information DigiTimes has dug up about Quanta Computer. The Amazon Kindle Fire has only just been released in the US – to mixed reviews – but straight from its launch, there have been rumours that a Kindle 2 is just around the corner. The Kindle 2 is set to be quite a bit different from its predecessor. It is thought that Amazon will redesign the device so it doesn't have the same look and feel of the PlayBook – something many of the reviews refer to. Considering the original Kindle Fire UK release date is still unknown it will be interesting to see if we actually get the first Fire at all or if Amazon will hold off launching in the UK until its successor is out. Given DigiTime's so-so relationship with rumours, we are filing this one under: It's Possible.